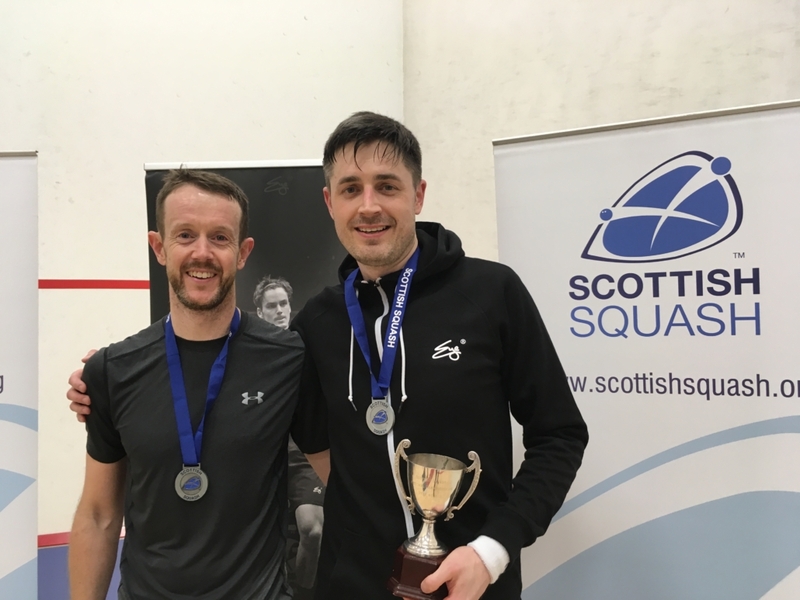 Andrew MacBean secured double gold on familiar territory last weekend (March 15-17), at the Scottish Masters National Championships – overcoming unfamiliar opponents. 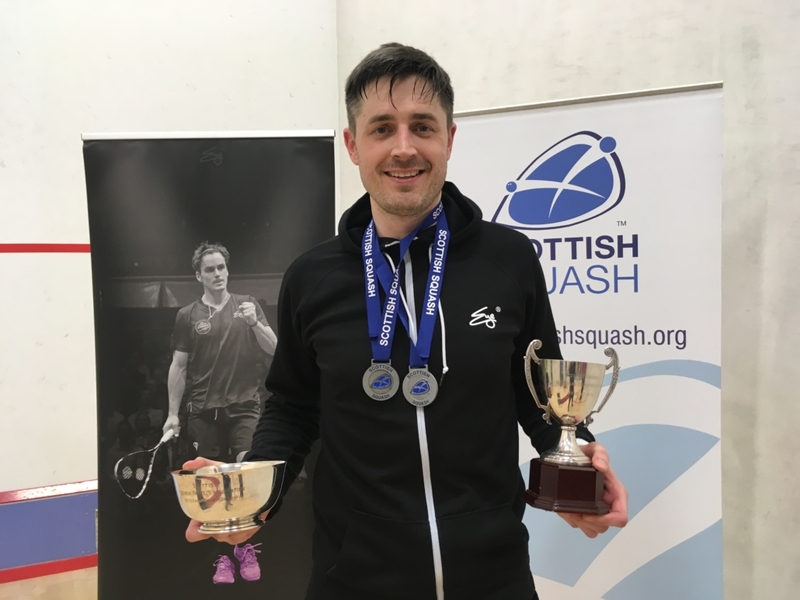 Andrew bagged titles on the show court at Inverness Tennis and Squash Club where he grew up playing, getting the better of Andrew Bremner (3) in the MO35 final, 11-5, 11-3, 11-6, and Stuart Ayton (2) in a tense M040 final, 11-5, 8-11, 11-4, 11-9. “I had won the Over 35s event in 2017 but was desperate to win the Over 40s title this year. “I had never played Andrew or Stuart before but playing on my home court which I know inside out was a key factor in my wins, especially against Stuart. Stuart Ayton and Andrew MacBean. He added: “Andrew is a talented player but I had to be pretty ruthless to save energy for the O40s final. Iain Maltman (6) won the MO35 plate competition with Alex Blake (5) winning the plate in the M040s. 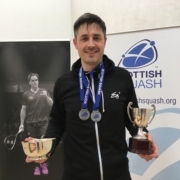 Edinburgh Sports Club’s (ESC) Simon Boughton won his fourth Masters title on Sunday not dropping a game throughout the M045s event. The number one seed beat Angus Woodward (3) 11-8, 11-2, 11-6 in the final producing some quality squash which impressed the court one crowd. He said: “I’m really happy. “In the last few weeks I have started to move well and playing in National League’s against a few of the youngsters has really sharpened me up. “I’ve only managed to play the East Masters on the Masters circuit this season but was very keen to play here. “I came into the event eighth in the rankings so winning this means a lot because I’m now in the top four and make the Scotland team. 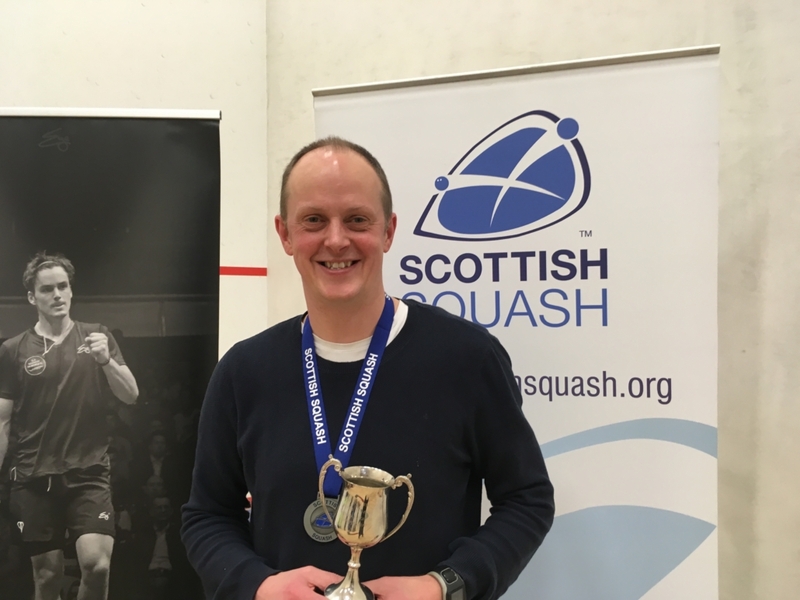 Seventh seed Nairn McMaster won the M045s Plate. Mike Ramsay (1) made the trip north from Queen’s Club in West London and was rewarded with gold in the M050s category. He was fast-tracked into the Scotland squad for last year’s Home Internationals due to injuries and has not looked back since having never played Masters events until 2018. 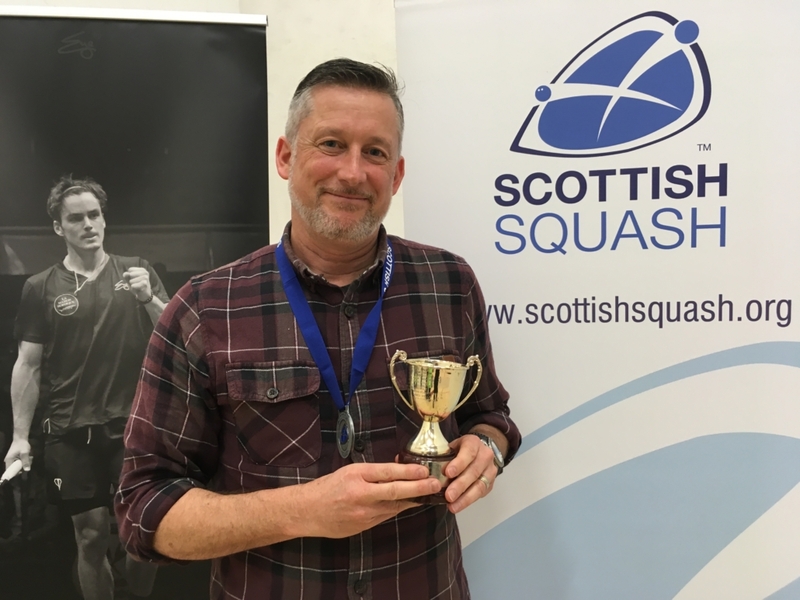 Victory on Sunday completed a triple crown for Mike on the Scottish circuit following wins at the Grampian and East of Scotland Masters. The former ESC and Watsonian player said: “I was a late addition to the Scotland team last year and was determined to qualify outright this time by competing in the Scottish circuit. “I turned 50 last year and only started playing Masters events after that. “Playing for Scotland is a real privilege and the team camaraderie is great. Mike beat second seed Paul Jenkins in Sunday’s final 11-9, 11-8, 11-5. Unseeded Trevor Izzett won the M050s Plate. Read the Men’s O55-O75 Masters Report here. Read the Women’s Report here.